Attorney Schmidt is a member of the Quinn Law Firm litigation practice group. His practice primarily involves insurance defense, commercial litigation and real estate related litigation. His practice also involves representing persons injured in automobile accidents and slip, trip and fall cases. Attorney Schmidt practices in several counties in northwestern and southwestern Pennsylvania. Attorney Schmidt has practiced in front of the Superior Court of Pennsylvania and the Commonwealth Court of Pennsylvania, as well as the Supreme Court of Pennsylvania. Attorney Schmidt is admitted to practice in Pennsylvania, the U.S. District Court for the Western District of Pennsylvania, as well as the Third U.S. Circuit Court of Appeals. 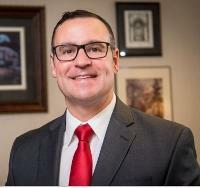 He is an active member of the Erie County Bar Association and the Pennsylvania Bar Association.